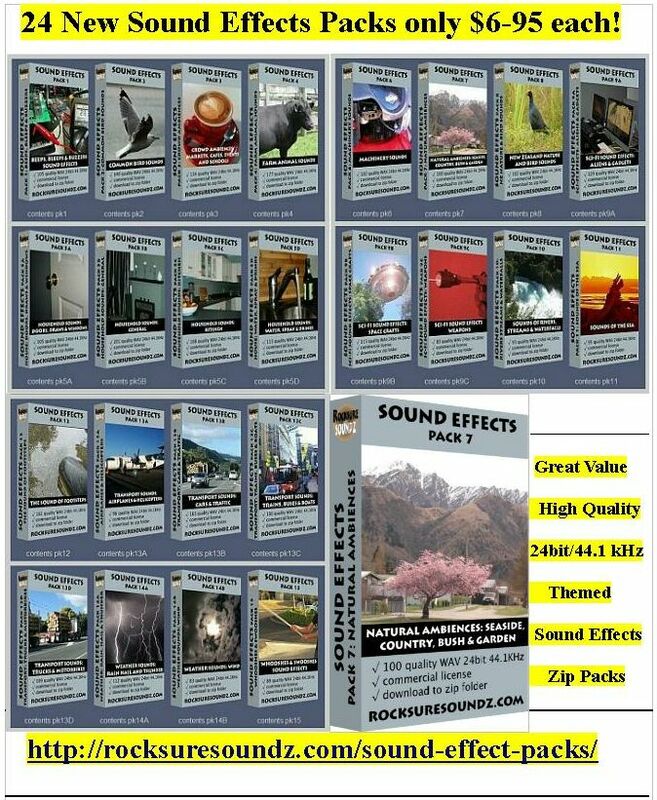 The new improved Rocksure Soundz GOLD SOUND EFFECTS PACK contains all 35 of the sfx packs that we sell separately, but at a 35% discount over the cost of buying those packs individually. There are more than 4000 sound effects in this collection. 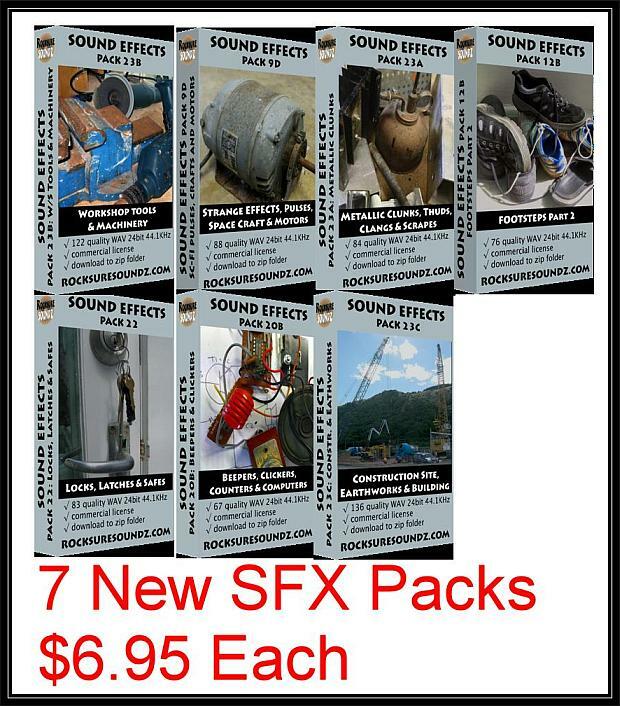 Rocksure Soundz announces four new sound effects packs available at $6.95 each. 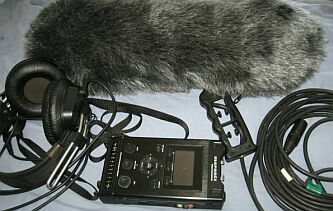 This brings the total number of sound effects packs on the site up to 28. The packs are zips of 24 bit/44.1kHz wav files. Plus we also have one new music loop pack at $8.95. Spooky Loops is a collection of 26 music loops. Most of the loops are 1:08 minutes long, and atonal in nature. They are designed to be interchangeable, seamlessly loopable, and can even be layered on top of each other if you wish. These loops would work very well in horror movies, thrillers or mystery documentaries as background music. Products are available exclusively from rocksuresoundz.com. The latest update to the website for April sees the addition of 283 great new production music songs. The most substantial proportion of these have come from composer Neil Cross, and cover a wide range of styles and genres. Welcome aboard Neil! Also there are some new tracks by Tony Koretz. Added as well are 75 new sound effects of various types, and also a couple of new tutorials on recording techniques and microphones are there too.